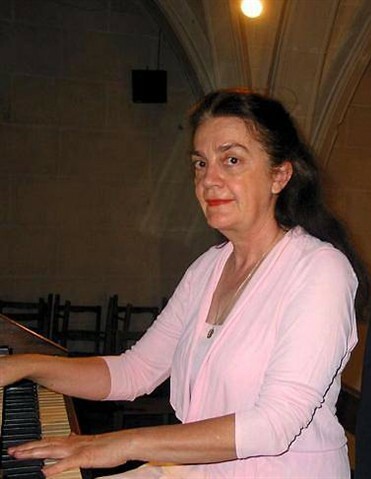 Marie-Thérèse Jehan, after piano and organ studies, became at age 13 organist of the parish of Sainte Anne Saint Nazaire. Student of the organist and composer Felix MOREAU, Great Organ of the holder of the Nantes Cathedral and disciple of Maurice Duruflé. Holder prices Roger Ducasse and that of Graven contest, she studied musical composition in the class of Paulette LADMIRAULT then with Mr and Mrs LANTIER in Paris. She works improvisation with Pierre COCHEREAU. She returned at the National Conservatory of Music in Paris in the organ class FALCINELLI Rolande, where she won first prize. He is credited with the price of Vocation (promotion Marcel Pagnol). Holder of the certificate of competence, she became professor of the organ class CRD Saint Nazaire. First organist at St. Clement of Nantes, it is then called Great Organ of the holder of the Nantes Cathedral at Easter 2002 by Monsignor SOUBRIER. 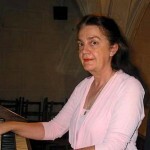 She became accompanist of the regional choral workshop Loire Valley, led by Jeno REHAK, director of the CNR of Nantes. She was invited to give recitals in France, England, Holland, Germany, Austria, Hungary, Italy. Soloist at Radio France, she is the founder President of the Hymnal association. She is promoted Knight of Arts and Letters. His recordings help to raise awareness of the works of Augustin Barie, René VIERNE, Adolphe MARTY and Felix MOREAU.